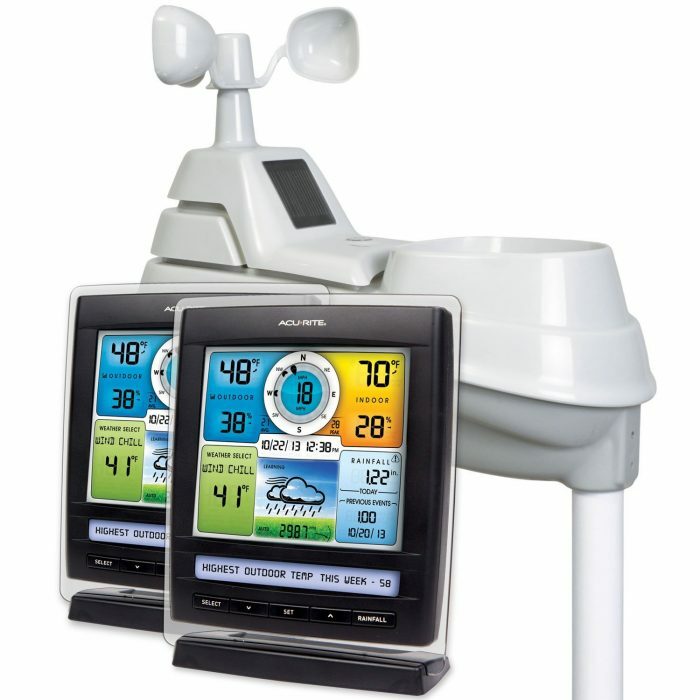 AcuRite 01078M is a weather station that you could place in your own backyard. With pinpoint accuracy, it could help you comprehend the weather all by yourself with extreme accuracy and plan your days well in advance. The setup relies on patented Self-Calibrating Technology and could provide reliable data to predict the weather 12 to 24 hours in advance. The measurements are all taken by the sensors used in the weather station and you will be required to check up on it frequently. 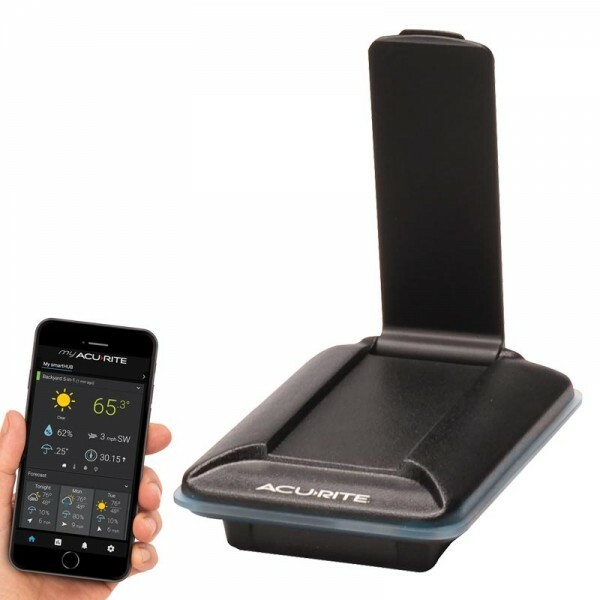 What is the AcuRite 01078M Pro Color Weather Station all about? 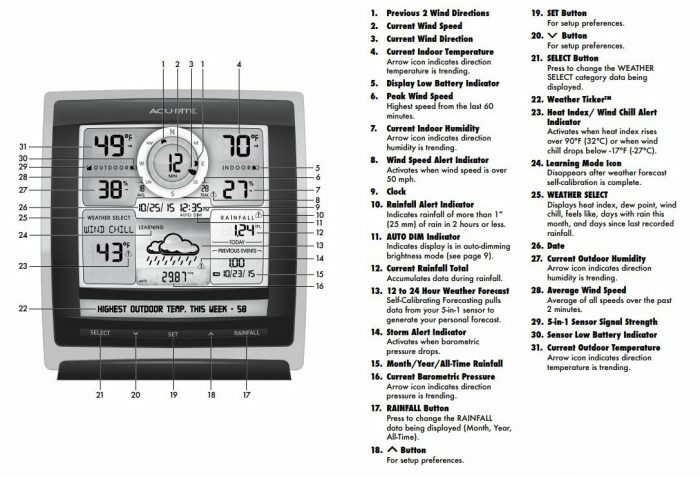 AcuRite 01078M is a self-calibrating weather station that is very reliable and allows you to make precise deductions and weather forecasts. It is a 5 in 1 weather station and therefore uses a more practical approach by taking into consideration a number of factors like temperature, wind speed, wind direction, rain, and humidity. The weather station gives very accurate readings and is very coherent in joining the dots together so as to come up with very logical assessments. It is undoubtedly one of the best models for remote monitoring which means that you can receive updates from the weather station directly into your PCs or smart phones. This model also takes the personal weather forecast system a step further by featuring an alert facility. You can adjust the settings and activate the alert which will regularly update you about the changes in the weather conditions. These notification get delivered to you either in the form of emails or SMS texts. You will be receiving alerts every time there is a considerable change in the temperature, wind speed or direction or if there is a possibility of an oncoming storm. The setup could help you stay on your toes irrespective of where you are. You will, therefore, be facing little weather-related inconveniences as you go through the day. You can always check out this video to help you get started with the installation. The remote sharing software allows you to monitor the weather-related data in private. However, there is also a feature that allows you to share the data online. This new feature makes the AcuRite 01078M highly convenient as you can effortlessly share the notifications with the public in case of any oncoming storms. This feature is quite uncommon and easily gives the AcuRite 01078M a sharp edge over other weather stations. The software used with the remote sensor has a highly systematic way of collecting data. The console prepares charts and graphs that make it easier for you to interpret the weather, thus allowing you to always stay a step ahead. What is even better is that the readings are shown in bright displays which keep the weather assessment from being a routine chore. You can also keep attractive, easy to read, illuminated displays in multiple rooms for the ease of assessment. The weather station will continuously update you on everything from temperature, humidity, rainfall, wind speed, wind direction, wind chill, heat index, barometric pressure and time as well as a date without you having to put in any effort from your side. The AcuRite 01078M has a very reliable and convenient rainfall tracking instrument. It can preserve the records and allow you to view the entire precipitation records on a daily, weekly, monthly and even yearly basis. You will also view the pattern in which the rainfalls have been occurring, the precise days on which rainfall was recorded, the total number of days with rain and the number of days since the last recorded rainfall. The readings can be read in any unit including inches and millimeters. With AcuRite 01078M, you will have this convenience right from your own backyard. The weather station relies on a 16 point wind rose for assessing the wind direction. Along with assessing the present direction, it also displays the readings for the previous two directions. The tracker can measure wind speeds of up to 99 MPH and display the current measurements along with the peak and average wind speeds. Since the readings are recorded, stored and presented in the form of graphs and charts, you will have an easier time studying the patterns. The Acurite 01078M does not rely on the official statement of whether published through news and other platforms for producing a comprehensive report about the weather. Rather, it relies on the measurements taken right from the weather station itself. The unit features a 5 in 1 sensor that records and tracks the various sets of weather related variables. This includes temperature, humidity, wind speed, wind direction and barometric pressure. This helps in forecasting the weather with pinpoint accuracy without having to rely on the locally or nationally published reports. All the sensors are wireless and therefore the installation is not a chore. The Acurite 01078M relies on a wireless mode of data transmission. This means that you will be able to view the data collected by the sensors even if you are away from the weather station. The strong wireless transmission encompasses 330 feet or 100 meters. There is also a My AcuRite app that can be synchronized with your handheld device. You can then turn on the alert notifications so that you are alerted whenever there is a change in the weather conditions or a possibility of an oncoming bad weather. This customizable weather ticker will display messages such as moon phase, indoor comfort level conditions, the feel quotient of the temperature, the peak and the lowest records amongst others. The console has an illuminated color display that comes in three different lighting settings. This ensures that you will easily be able to read the information during the day as well the night. The information is also not displayed in a cluttered which makes it possible to read the info at a single glance. You can personalize the light settings and even select the auto dim node which automatically adjusts the brightness of the display based on what time of the day it is. You can also check data history regarding the previous weather conditions through the console. This should help you make clear decisions about the forecast. 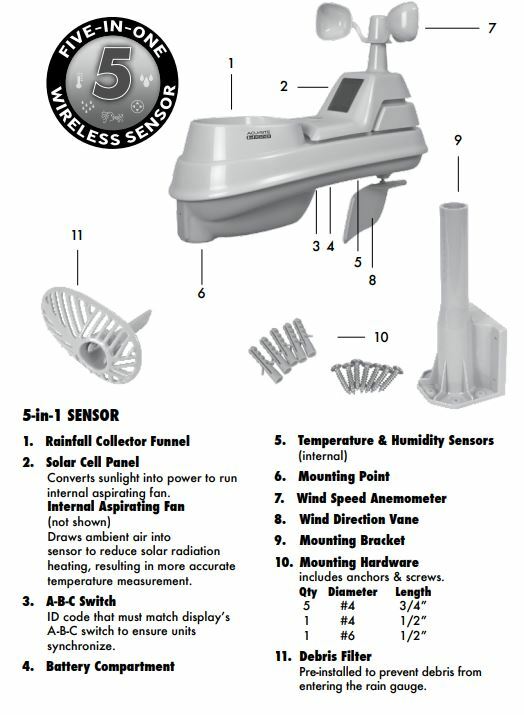 The Acurite 01078M runs on 4AA batteries which are supplied along with the weather station. These batteries have a very impressive lifetime of two long years. This makes sure that there isn’t a lot of maintenance required for the setup. The AcuRite 01078M is monitored through a software that can be paired with an indoor digital display as well as with the AcuRite smart-HUB. The system is self-calibrated meaning that they take the readings all by themselves and send it to the display in just a few seconds. They update and transmit the data every 18 to 36 seconds. You could get notified about the weather conditions back home irrespective of where you are in the world. The system integrates every instrument together with the main unit. You could, however, buy a few extra accessories to increase the efficiency of the unit. The most functional accessory for this weather station is the replacement solar panel that powers a fan to constantly cool down the sensors. This increased airflow makes sure that the temperature measurements do not go off track. Since the displays do not come with the station, they can be considered as accessories as well. The other accessory would include Energizer L91BP-8 Ultimate Lithium AA Batteries which come at a certain discount if bought together with the station. This easy installation weather station comes is very durable and built to withstand all weather conditions. It comes with a limited warranty period of one year. This self-calibrated weather station gives very personalized readings and weather assessments for your exact location. It is also very accurate and uses unique algorithms that can properly analyze the specific changes in the weather so as to tune itself into a learning mode. The system is very easy to install and requires little maintenance.